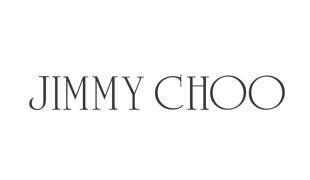 Jimmy Choo Andie sunglasses are a fashion-forward showstopper wrapped in an elegance that feels timeless, yet with a powerfully modern twist. The defined round shaped frame is retro-inspired and right on trend. This wonderfully luxurious design comes from Jimmy Choo’s glitter and crystal collection. This beautiful detailing evokes a strong sense of luxury and glamour, but the Andie/ S are also tame enough to be worn as an everyday fashion accessory. 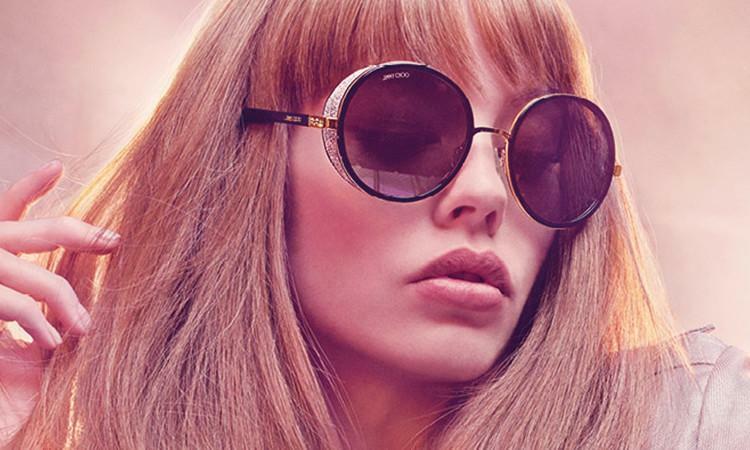 These highly feminine Jimmy Choo sunglasses are available in a range of wonderful two-toned colours with golden trimming. 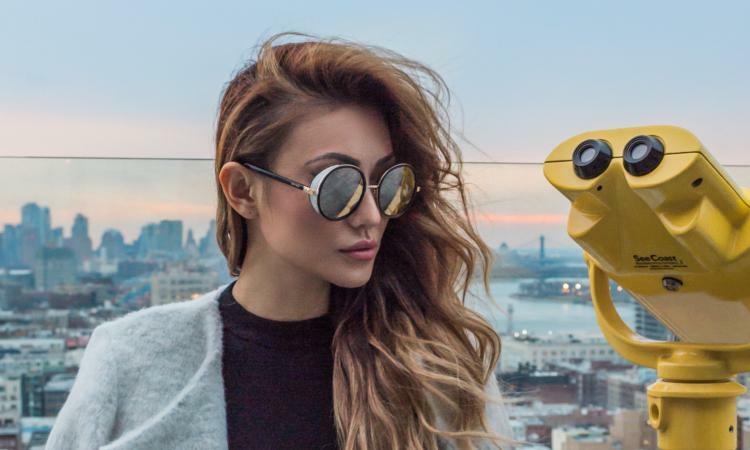 Graduated and mirrored lenses add an extra trendy dimension and offer complete UV protection. You can add your own prescription online. 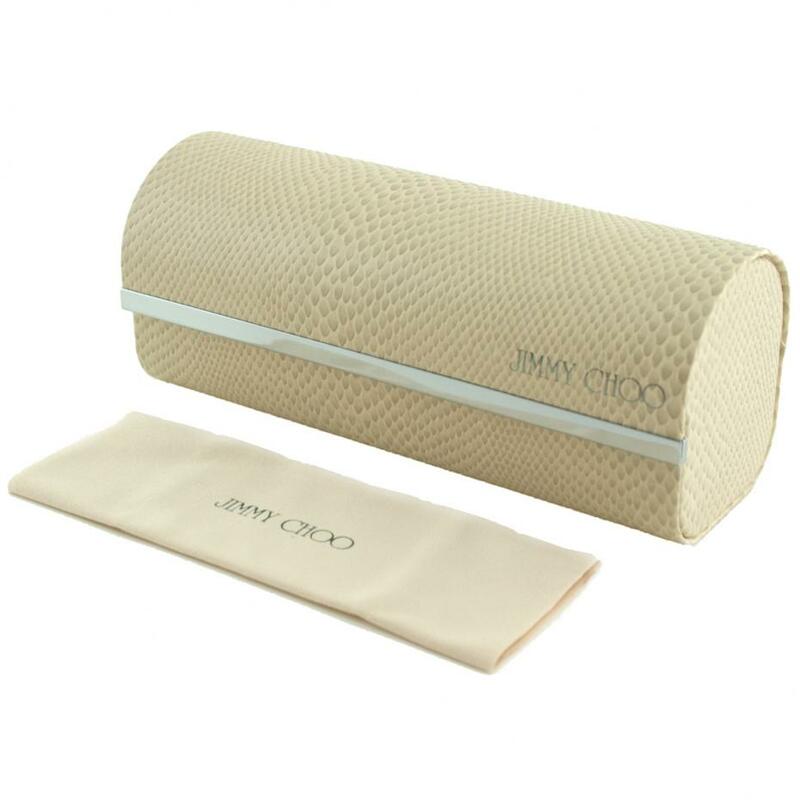 All Jimmy Choo sunglasses are presented in their original designer case with a soft lens cleaning cloth.